As I’m learning SO much about color this week, I thought I’d post about an unusual exterior house color. While we are moving toward using clean colors in general in design, that rule doesn’t apply as much yet to exteriors. I find that I mostly see toned-down colors on homes. Think about brick or stone; these colors are not clean and bright, so they demand complementary colors that are also somewhat muted. 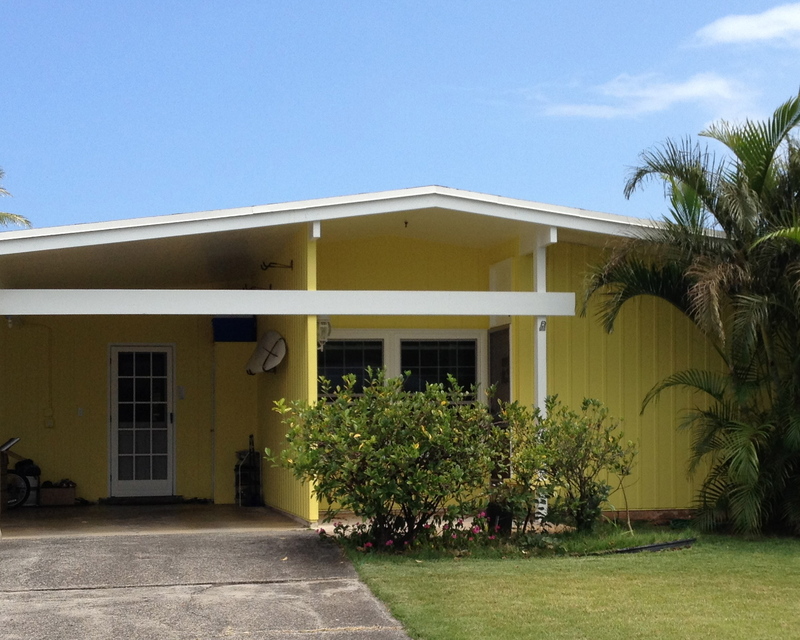 However, here in Hawai’i we may be able to see homes that match with the brightly color flora. Take for example this home I saw a while ago. It actually matches the yellow in the leaves in the (mostly green, but a little bit yellow) bush in front of the house. How’s that for blending in to your surroundings? This entry was posted in Color, Exterior, paint and tagged clean colors, exterior color, house, paint, yellow by organizedohana. Bookmark the permalink.